Our reputation lays in high performance property sales, and we take great pride in our excellence in property and asset management as well as body corporate management. Family owned and built through word of mouth since 1996, through our knowledge and experience we will help you to find your dream home. We take pride in managing properties, our Core business, our level of care will leave you confident that your investment is in good hands. With the hottest listings, knowledgeable agents and expert guidance, L.J. Gilland Real Estate is here to help. 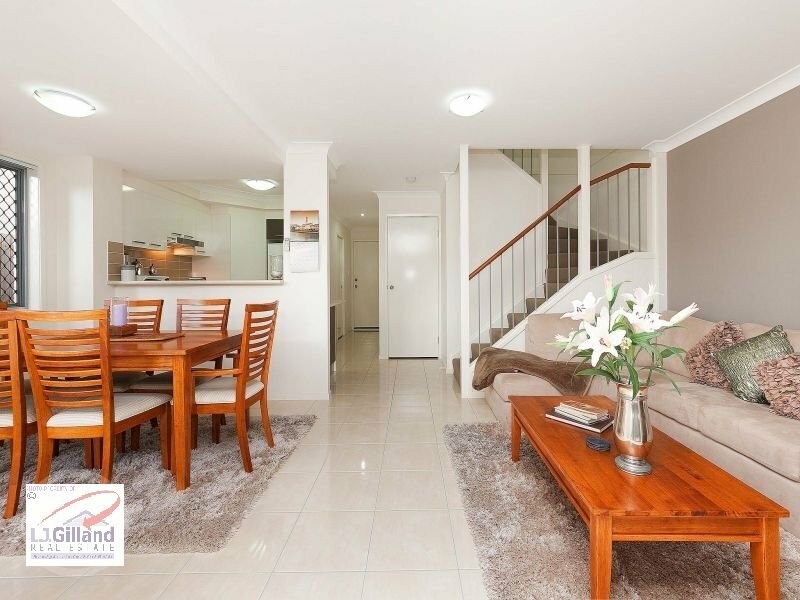 Tranquil bushland setting with an express bus stop located right outside the complex offering an effortless commute to the Brisbane CBD and surrounds. 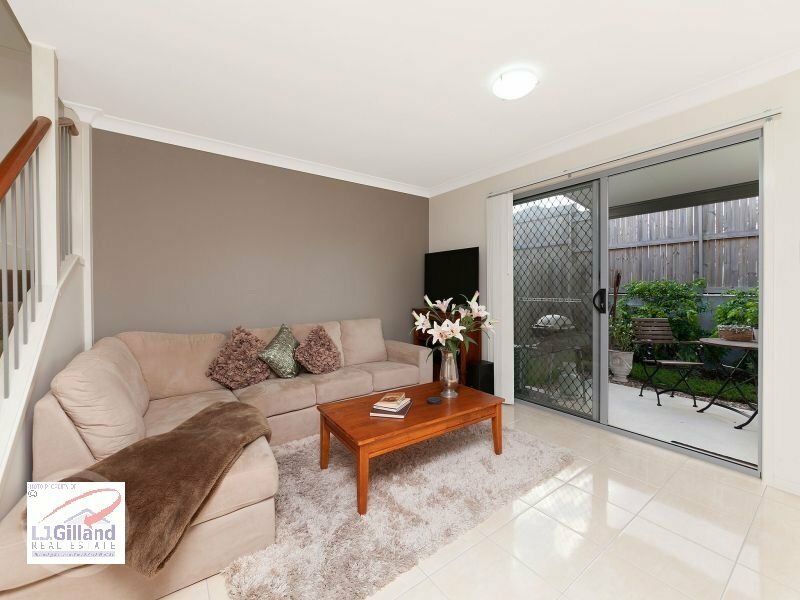 AIR CONDITIONED OPEN PLANNED TILED LOUNGE, DINING AND KITCHEN AREA WITH SLIDING DOOR ACCESS TO OUTSIDE COVERED PATIO AREA. KITCHEN HAS STAINLESS STEEL APPLIANCES INCLUDING DISHWASHER AND GAS COOKTOP. 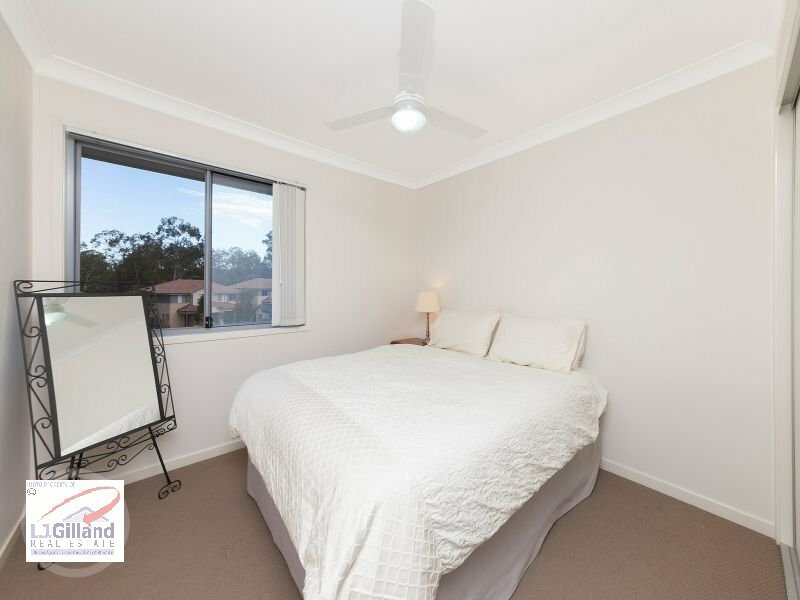 AIR CONDITIONED CARPETED MASTER BEDROOM WITH ENSUITE, BUILT IN ROBE AND CEILING FAN. 2 OTHER CARPETED BEDROOMS WITH BUILT IN ROBES AND CEILING FANS. 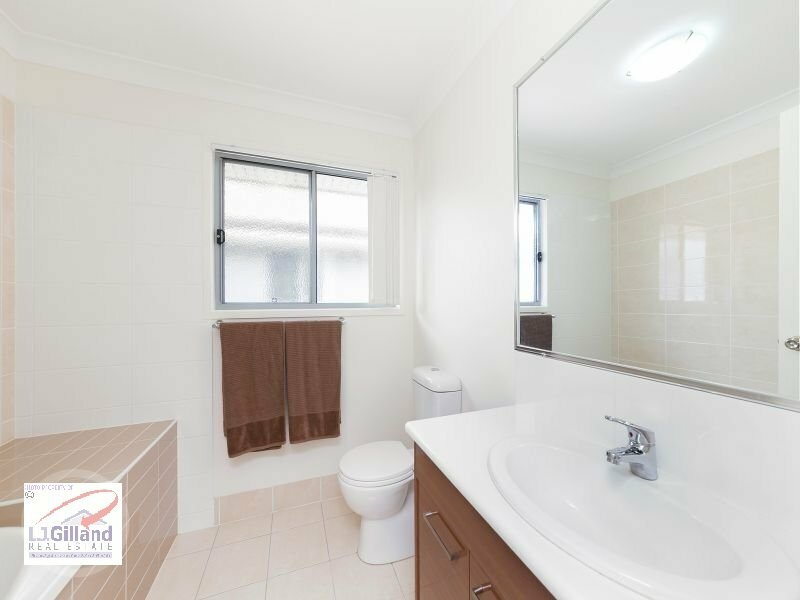 MAIN BATHROOM WITH SEPARATE BATH. LAUNDRY DOWNSTAIRS SEPARATE TO GARAGE. BUS STOP LOCATED RIGHT OUTSIDE OF THE COMPLEX!!! 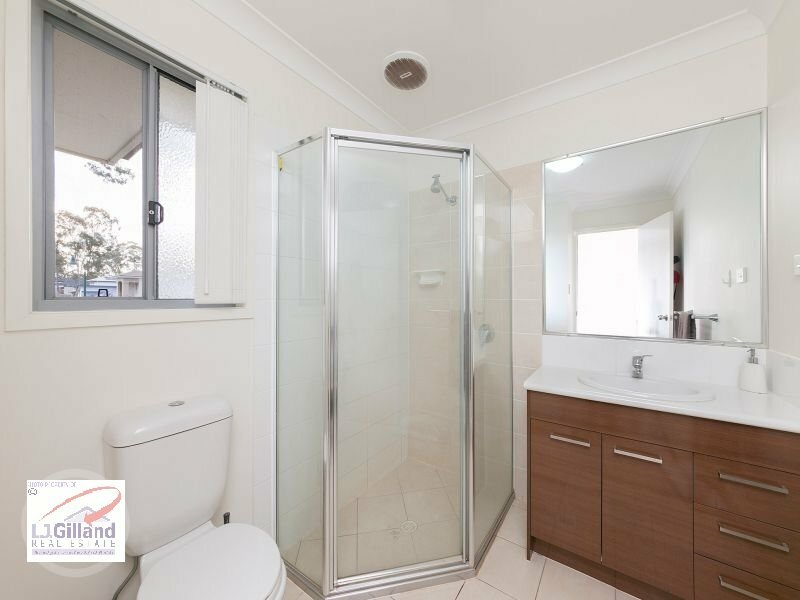 ACCESS TO GATEWAY MOTORWAY AND FREEWAY. 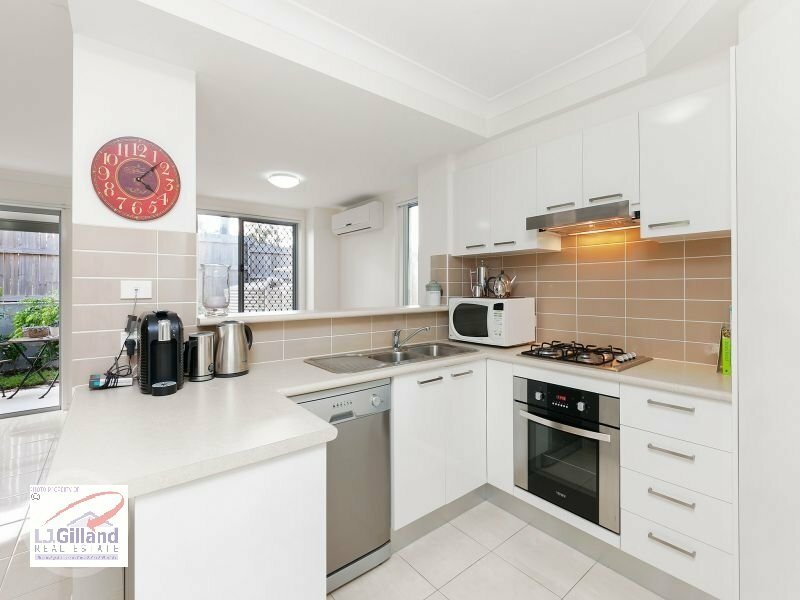 Beautifully maintained and presented throughout, this light-filled and breezy townhouse presents a tremendous opportunity for tenants seeking a taste of an easy care lifestyle within a tranquil bushland setting. A generous open concept floor plan creates an impressive sense of openness, centred around the outdoor entertaining courtyard. Warm tones fused with crisp white walls and timber trimmings to deliver a stylish and contemporary residence fitted with all the comforts of a family size home. A centrally located kitchen offers an ideal space to create all things culinary with premium European stainless steel appliances including a gas cooktop. Flowing out to the living area and adjoining dining space, the open concept design sees the effortless integration of indoor and outdoor space through glass sliding doors. This peaceful covered location will be a relaxing spot to entertain family and friends while enjoying the picturesque natural surrounds. 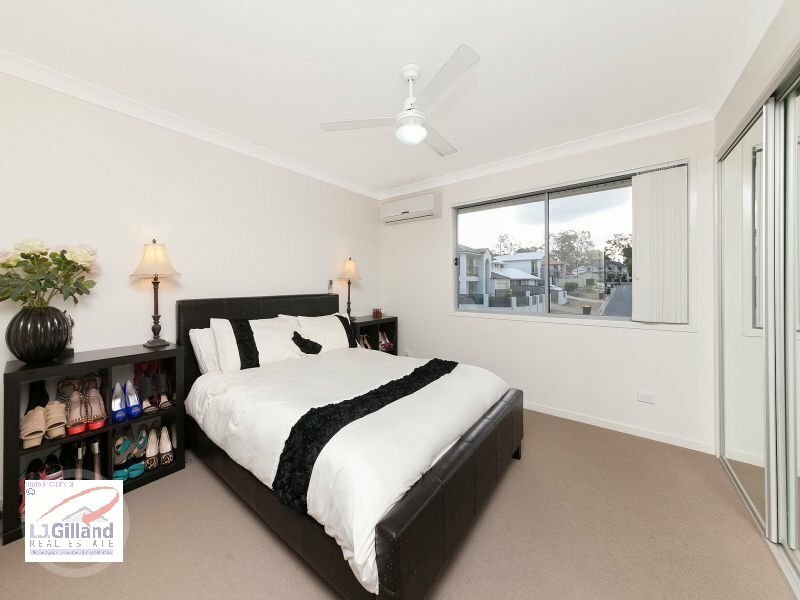 Three generous sized bedrooms service the townhouse with two modern bathrooms including the master suite ensuite. Additional inclusions; 3200L water tank in the garden, well-maintained gardens, gas hot water system and addition lavatory located on the lower level of the property, round out the list of impressive features of the property. Offering a tranquil bushland backdrop, the convenient location offers access to cosmopolitan dining and shopping experiences and a host of entertaining amenities. 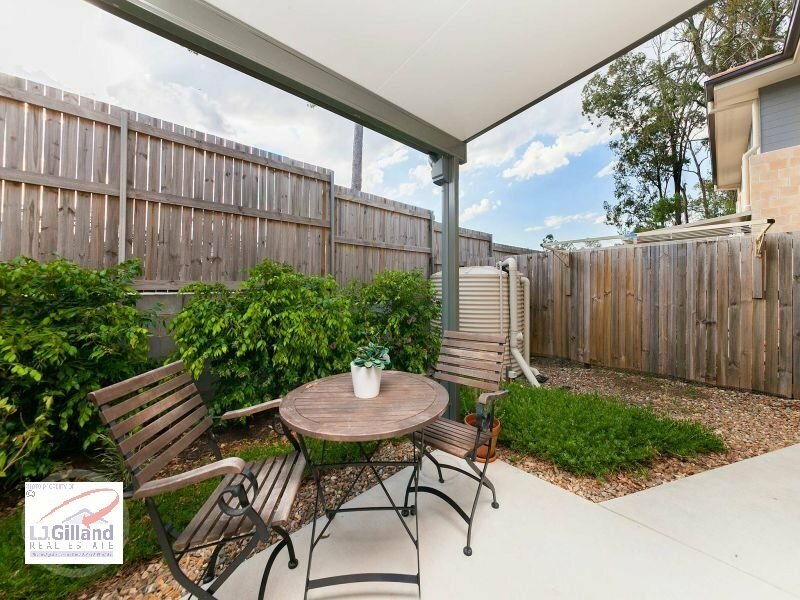 Buyers are welcome to use the express bus stop located right outside the complex offering an effortless commute to the Brisbane CBD and surrounds. Immediate access to the Gateway Motorway and freeway will allow trips to the CBD, Sunshine and Gold Coasts to be an easy weekend ritual. 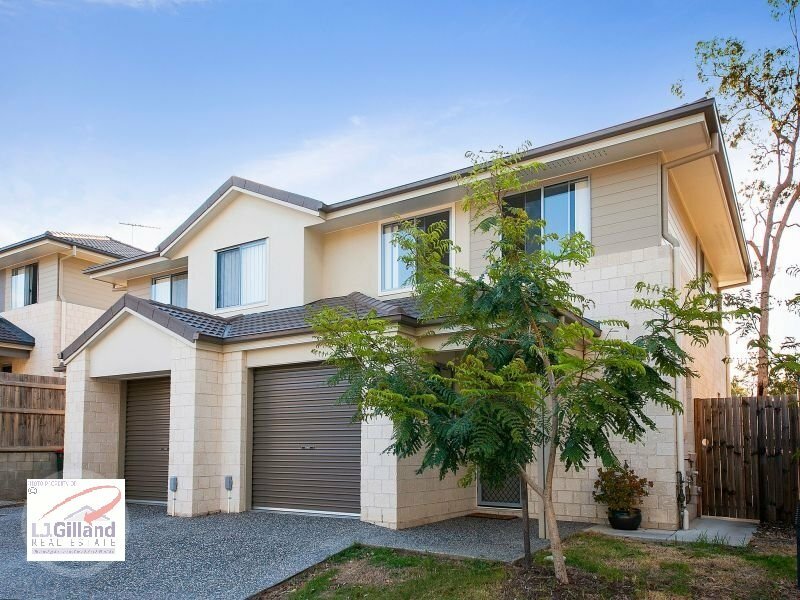 An ultra-modern, light-filled haven within the picturesque natural bushland of Runcorn, this impeccable townhouse is a must to inspect. If you’re looking for a fantastic first home surrounded by shady trees, peaceful parks, and the Karawatha Forest, this is the place for you. 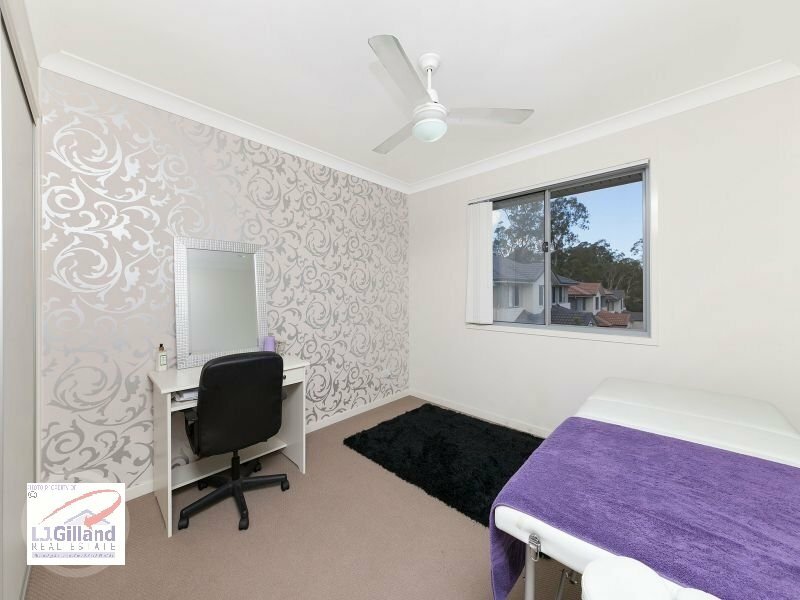 Set in a secure complex that’s also just minutes from Warrigal Square, Sunnybank Hills Shopping town and the Calamvale Central Shopping Centre, this is the perfect property for couples and growing families looking to settle down in a great suburban spot. Inside this home you will find a modern open-plan layout, complete with a tastefully-neutral colour scheme and gorgeous white tiles throughout the ground floor. The handy and compact kitchen is an excellent addition, a raised breakfast bench for meals on the go, and clever storage designs that take full advantage of the available space, you’ll have no trouble whipping up a storm with this versatile area! Disclaimer: We have in preparing this information used our best endeavour to ensure that the information contained herein is true and accurate, but accept no responsibility and disclaim all liability in respect of any errors, omissions, inaccuracies or misstatements that may occur. Prospective tenants should make their own enquiries to verify the information contained herein. All information contained herein is gathered from sources we consider to be reliable. However, we cannot guarantee or give any warranty about the information provided and interested parties must solely rely on their own enquiry. *Important* Whilst every care is taken in the preparation of the information contained herein, L J Gilland Real Estate Pty Ltd will not be held liable for any errors in typing or information. All information is considered correct at the time of printing. Any interested parties should satisfy themselves in this respect.